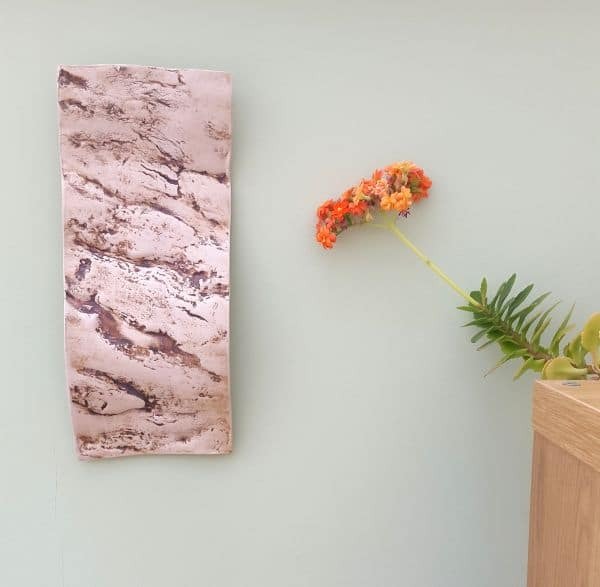 This oak impressed wall hanging has real tree bark pressed into the surface of the clay, creating a gorgeous natural texture. 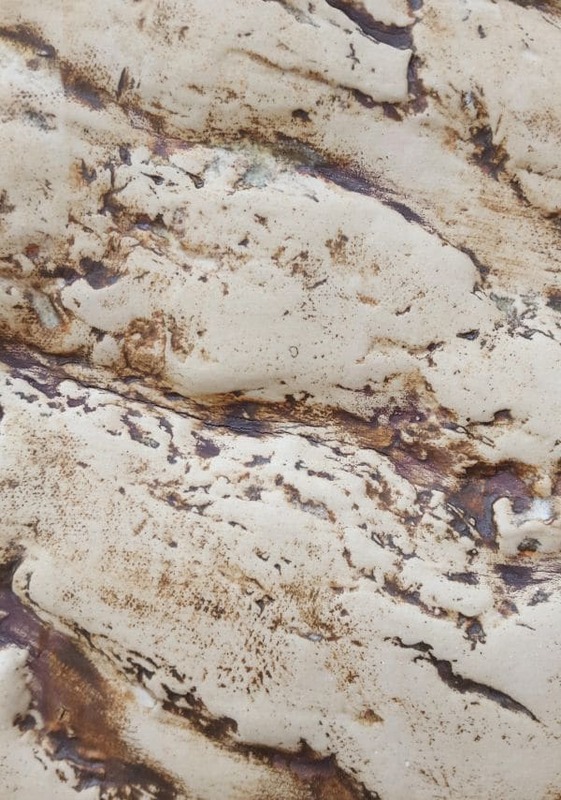 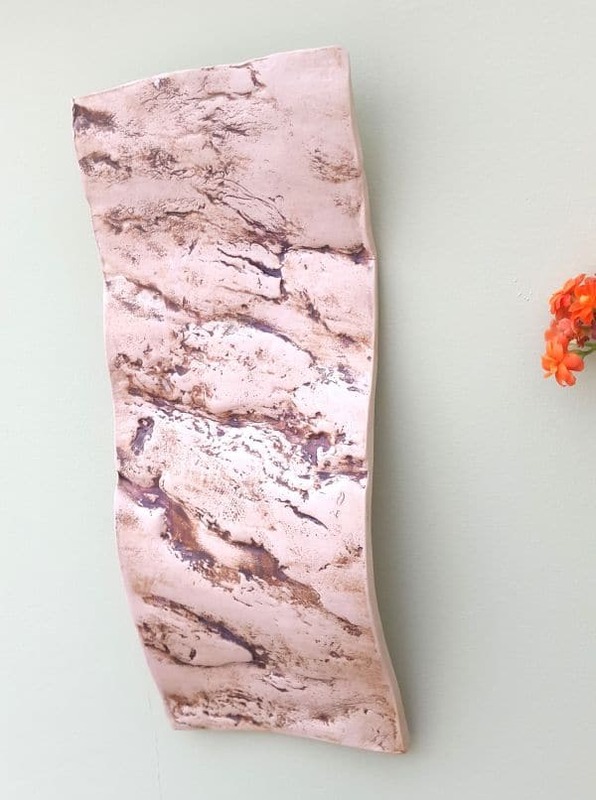 The panel is approx 35cm long, and has obvious curves in it’s form which makes it an unusual and unique piece of art. 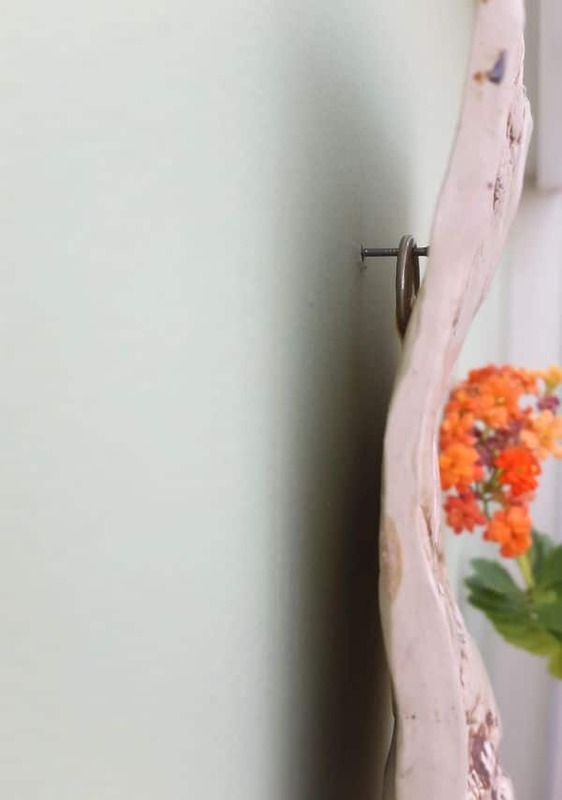 On the back of the ceramic panel is a strong and durable plate hanger secured with a metal hook for hanging. 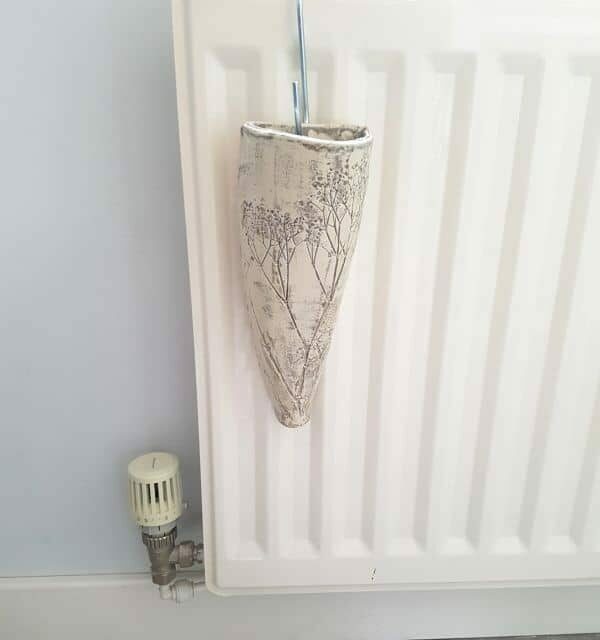 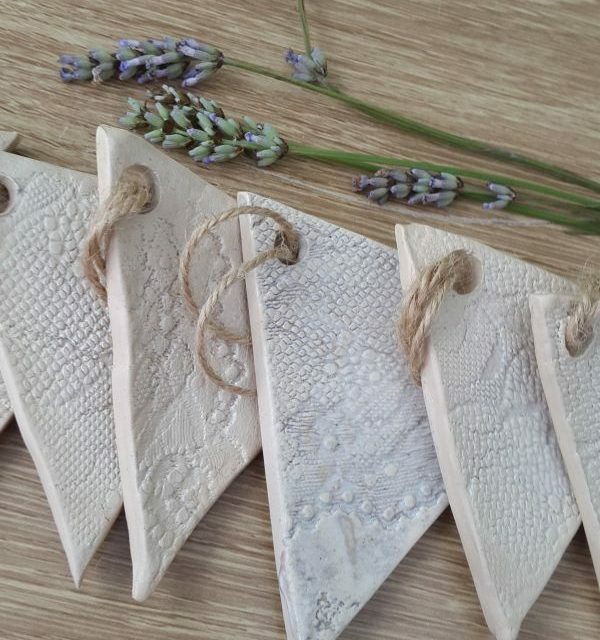 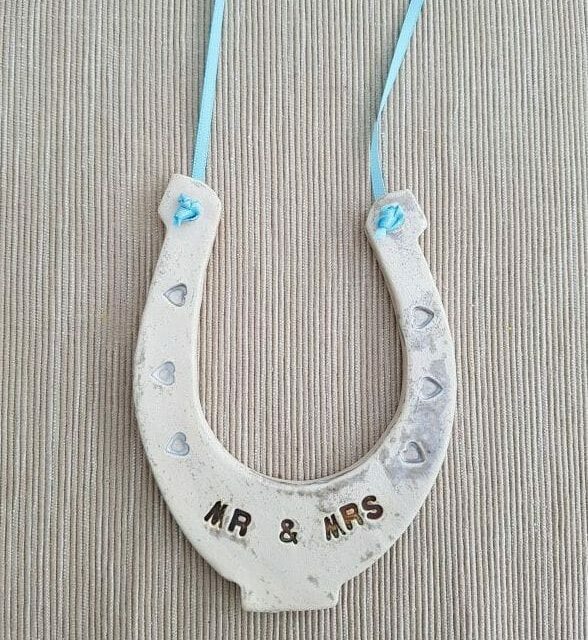 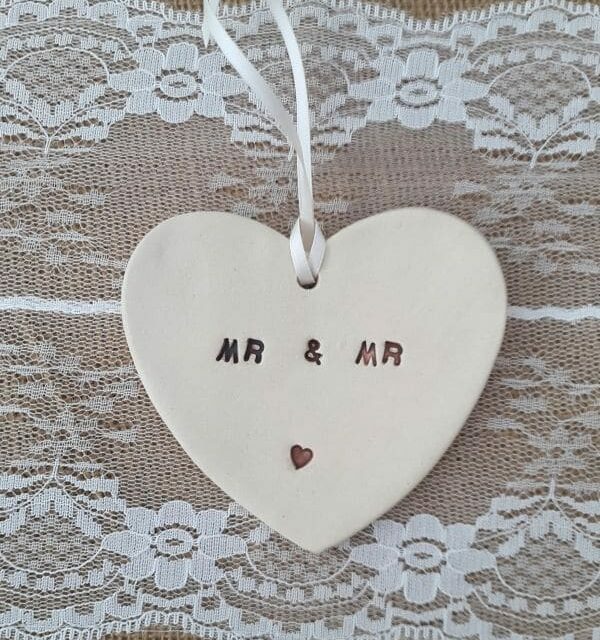 The item you will receive is the exact handmade ceramic wall art pictured.